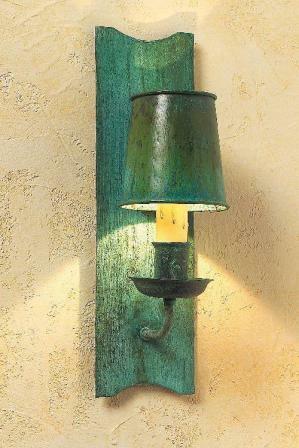 This collection of reproduction Arts & Crafts Verdigris Copper Wall Sconce offers you some unique accent pieces that create a soft warm lighting effect. Each handcrafted Craftsman Style wall sconce is hand hammered from 1/8″ thick solid copper. The multifaceted texture of these Mission Style wall sconces brings to life the eye catching Craftsman Style that will fit right in with the hand hammered metal elements so commonly found in Arts & Crafts homes inspired by the architecture of “Frank Lloyd Wright”.